There appears to be a strong connection between suicidality and the experience of trauma. The study investigated suicidality in chronic civilian post–traumatic stress disorder (PTSD). Ninety–four participants suffering from chronic PTSD were assessed for suicidal ideation, plans and attempts since the index trauma as part of a comprehensive assessment. The prevalence of these was assessed and characteristics of those reporting suicide–related thoughts and behaviour were investigated through logistic and multinominal regression analyses. Over half of the sample (56.4%) reported some aspect of suicidality with 38.3% reporting ideation, 8.5% reporting suicide plans and 9.6% having made suicide attempts since the trauma. Of the nine participants who reported suicide attempts, six had made more than one attempt. The proportions of participants who reported suicidality in this sample were significantly greater than reported within the general population, when comparisons were made with an epidemiological study. Logistic regression analysis indicated that a unit increase in life impairment (OR = 3.1) and depression (OR = 1.14) scores were independently and significantly associated with suicidality. 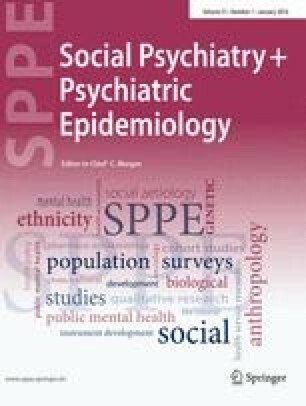 Multinominal regression indicated that life impairment (OR = 2.71) and depression (OR = 1.13) scores were associated with the presence of suicidal ideation compared to no ideation, and life impairment (OR = 5.75), depression (OR = 1.2) scores and receiving psychotropic medication (OR = 10.6) were associated with the presence of plans and attempts compared to no suicidal behaviour. Suicide risk is elevated in those suffering from chronic PTSD and is associated with impaired functioning in combination with depression.